We wish you and your families Shana Tova U’Metuka, a happy and sweet New Year. We’re looking forward to sharing the High Holy Days with you as we welcome our new Rabbi, Rabbi Joshua Dorsch and our visiting Cantor, Chazan Hanan Leberman who together will lead our 5779 High Holy Day Services. Our High Holy Day services will be conducted by Rabbi Joshua Dorsch and Chazan Hanan Leberman. Perry Arenson and Ted Stern will also be leading services along with our able corps of volunteers. If you are a member of Tifereth Israel Synagogue, your tickets will be mailed to you in mid-August. If you do not receive them, please be in touch with the office. Tickets for your dependent children living at home, 23 years or younger are included. If you are not a member of our congregation, there are several options available in order to share the High Holy Days with us. Once you’re ready to order your tickets, you may use our online system or phone our office at 619 697-6001. We are happy to offer reciprocity to members of other congregations who would like to attend the holidays at TIS. Simply have a letter (on your congregation’s letterhead) faxed to 619 697-1102 or emailed to Kandice here. The letter should state that you are members in good standing and we will gladly provide complimentary HHD tickets. Members of Tifereth Israel who may be attending services at another synagogue, please let us know and we will be happy to send a letter asking that tickets be provided for you. Email Kandice or phone her in the office. Please note we cannot guarantee the reciprocity of any other congregation. First and foremost, we thank you for your service. If you are Active Military, we will gladly provide you and your dependents complimentary High Holy Day tickets. Please contact our office and provide us with your military ID. We are happy to provide full-time students with tickets for the High Holy Days. Simply come by and show us your school ID. High Holy Day tickets may be purchased online or by phoning our office. If you have any questions, do call our office. For those who wish, we offer reserved seats. You will be given the opportunity to select your own seat, subject to availability. Fees for reserved seats are in addition to fees, if any, for a regular ticket. We can accommodate guests either through reciprocity (see above) or the purchase of a ticket. If you need extra tickets, you may order them online or phone the office. To ensure your safety, each time you arrive for a High Holy Day service, please have your ticket and a photo ID (driver’s license or state ID card) ready to be checked by the ushers. The name on the ticket must match the name on the photo ID. Thank you for your understanding. If you have misplaced your tickets, you will be escorted to the office and our staff will assist you. Tickets with common nicknames or abbreviations are acceptable, and children do not need to show ID. If you use a different name at the synagogue than that which is on your identification, please contact the office and we will be happy to provide a replacement ticket. 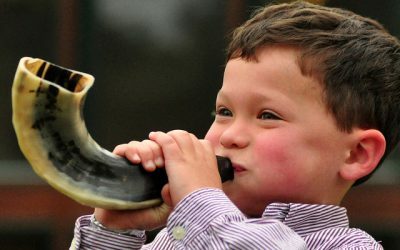 Erev Rosh Hashana, Sunday, September 9th, 6:15 p.m. – 8:00 p.m.
Rosh Hashana, Monday, September 10th and Tuesday, September 11th, 10:00 a.m. – 1:00 p.m.
Kol Nidre, Tuesday, September 18th, 6:00 p.m. – 8:30 p.m.
Yom Kippur, Wednesday, September 19th, 10:00 a.m. – 1:00 p.m. and 4:15 p.m. – 7:15 p.m.
Child care will be provided for children between the ages of 18 months and Pre-Kindergarten. Room 5 will be open during all services for nursing moms and for children younger than 18 months. This room will not be staffed; you must supervise your children and clean up after them. Please eat any snacks outside the classroom so as to observe any allergies. Rosh Hashana, Monday, September10th and Tuesday, September 11th, 10:00 a.m. – 1:00 p.m.
Yom Kippur, Wednesday, September 19th, 10:00 a.m. – 1:00 p.m.
Rosh Hashana, Monday, September 10th, 10:00 a.m. – 1:00 p.m.
Saturday, September 1st, 7:30 p.m.
Tashlich is a fun, interactive, and impressive experience appropriate for all ages. Everyone will enjoy the symbolic “Casting of Sins” into the water. Don’t forget to bring your scraps of bread (representing our sins) for throwing. Directions and more details are here. Sunday, September 16th, 10:00 a.m. This year’s Kever Avot Services will be held at Home of Peace and Greenwood. Saturday, September 20th, 7:30 p.m. Relax and enjoy the evening with family and friends while relishing a delicious meal catered by Golden Bagel Café. Make your reservations by noon on Monday, September 12th. Click here for reservations and more details. 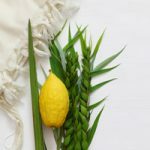 A limited number of Lulav and Etrog sets are available and will be sold on a first come, first serve basis. Reserve your set online or phone the office. Following a special Shir Chadash Shabbat, join us for a delicious catered dinner, dining under the stars in our sukkah. Secure your reservations by noon on Friday, September 21st. Learn more and make reservations now. Silverman Preschool and Abraham Ratner Torah School will host this casual get-together featuring a fun cereal bar and more. 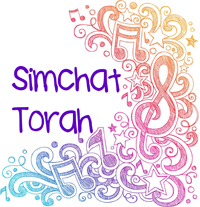 Following, we’ll celebrate Simchat Torah. Your RSVP by Sunday, September 26th is a mitzvah! Monday, October 1st, 6:15 p.m. Together, we’ll rejoice and celebrate the conclusion of the reading of the Torah. Music, provided by Tifereth Israel’s Ad Hoc Polyphonic Klezmer Orchestra, will be the backdrop to our dancing, singing, and hakafot (Torah processions). The festivities are for all ages and not to be missed. Please respond by the RSVP dates. Requests after those dates will be placed on a wait list. Sorry, we cannot offer refunds for any cancellations. A great deal of planning goes into our events to make sure everyone has the best possible experience. To achieve this goal, we often require a reservation in advance. It impacts not only the cost of the event, but also the amount of food prepared, the setup of the room, and many other details. Making your reservations in advance is a courtesy to the organizers and to other participants. 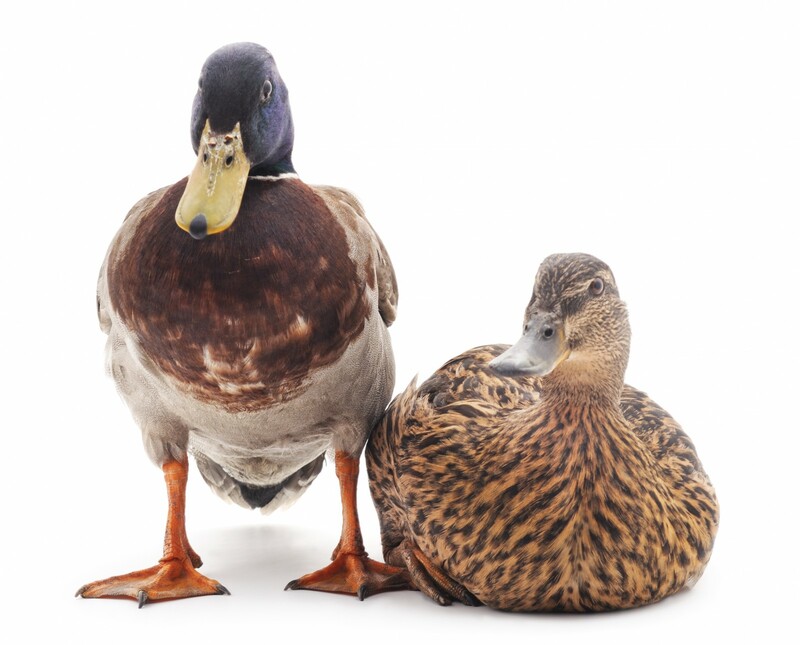 We know that sometimes an unexpected visitor may arrive; a business trip you planned has been postponed, etc. We recognize these things happen. Although sometimes we may be able to accommodate, please understand when we can’t. 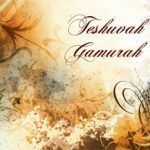 Your ride to High Holy Days Services is just a phone call away! Free door-to-door transportation for older adults 60+ from your home to your synagogue and back! Serving 30 zip codes. For more information call 858 637-7320 or visit www.jfssd.org. Parking at TIS will be on a first-come, first-serve basis. The upper lot will be reserved for handicapped parking only. You must possess and show a DMV placard to be admitted into these spaces. The middle lot will be open for general parking and the lower level will be for those who have purchased reserved spaces. In addition to the Tifereth Israel parking lot, you may park at East San Diego Masonic Lodge on Tommy Drive throughout the holidays. The Masonic Lodge asks that you park only in marked spaces. Please do not block entrances. Also, drive slowly in these lots and do not litter. A limited number of reserved parking spaces are available on the lower lot for $180 each. Please contact the office or go online to reserve your space. The use of cell phones or any electronic device is strictly prohibited on the High Holy Days and Shabbat in the sanctuary and on the synagogue grounds. Please be respectful of all of our congregants and visitors. Help eliminate hunger during our partnership with Jewish Family Service (JFS) HandUp Youth Food Pantry. During Yom Kippur our fast is 24 hours. For many, hunger is a daily experience. We are asking everyone to bring five pounds of nonperishable food to the synagogue for distribution throughout San Diego County. Your contributions do not need to be kosher. Please give generously. We are collecting new and gently used children’s books as well as a variety of other items. In particular, we are looking for Spanish/English and other bilingual books, but all children’s books are appreciated. The books and school supplies will go to our partner organization, via JFS, EES, Bayside Community Center, Family Health Centers, San Diego Council on Literacy, and the Positive Parenting Program. Their mission is to create opportunities for the underserved to become future leaders through quality early education. Click here for more details and a list of requested items. We have several opportunities to get involved and make a difference. Please lend your support! Be an Usher / Greeter! The entire congregation, collectively, appreciates our ushers and greeters efforts to make the High Holy Days a warm, welcoming, and spiritually meaningful experience. Ushers and greeters help everyone who walks through our doors feel comfortable. They also help relay some of our traditions and customs, ensuring that services run smoothly. We need your help! For our five High Holy Day services, we have fifty (50) time slots that need to be filled. Each slot is an hour long, and we have spaces available both inside and outside. Click here to see what shifts are available. We will provide you with all of the guidance, assistance, and information that you will need. If you are able to help us out and volunteer to take an Usher and Greeter shift, e-mail Larry Casper or call the office. Join our Shofar Squad. No experience is necessary. This is an opportunity to learn and participate in this ancient ritual. Click here to learn more. Children 5 and up are welcome with adult supervision. Please wear close toed shows and comfortable clothing. If you are interested in volunteering, please contact Brendan Rosen at 858-637-3243 or brendanr@jfssd.org. 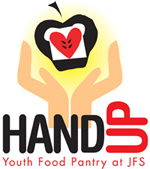 You can also sign up online through the JFS online volunteer portal www.jfssd.org/handupapp and www.jfssd.org/returnvol.